In 2009, the legendary Les Paul passed away at the age of 94. In celebration of his life, this book, capturing Paul's own reflections on his remarkable inventions and guitar playing, was published as a high-end collector's edition. 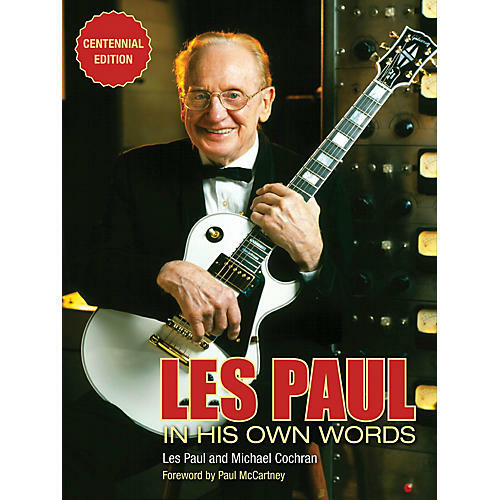 In 2015, Les Paul reached his centennial, and Backbeat Books is pleased to celebrate the legend once more in the first-ever paperback edition of Les Paul in His Own Words, making his fascinating story available to a wide range of readers. This book is the definitive work on the recording and electric guitar pioneer whose prodigious talents and relentless work ethic single-handedly launched a new era in American popular music. This authentic account of Les Paul's life is packed with words of wisdom and experience from one of the most important contributors to modern music.